The equipment is mainly used in loading cargo between vehical and cargo shelf in workshop or warehouse, no need to set us cargo table, steel shelft ect, it lifts from the ground level to load and discharge, professional designed movable extended board makes the connection more smooth between the table and vechicle so to make the operation of folklift. hydraulic hand pallet more easy.The table can be put into the foundation after work the table is on the same level with the ground no space occupation , no affection to the traffic. 2. Max. Table Height: 860-1300mm. 3. Min. Table Height: 350-390mm. - Valuable material handling for use as a feeding table on assembly line. - Structural heavy duty steel construction. - Easy action foot operated hydraulic lift for raising table top to desired level. 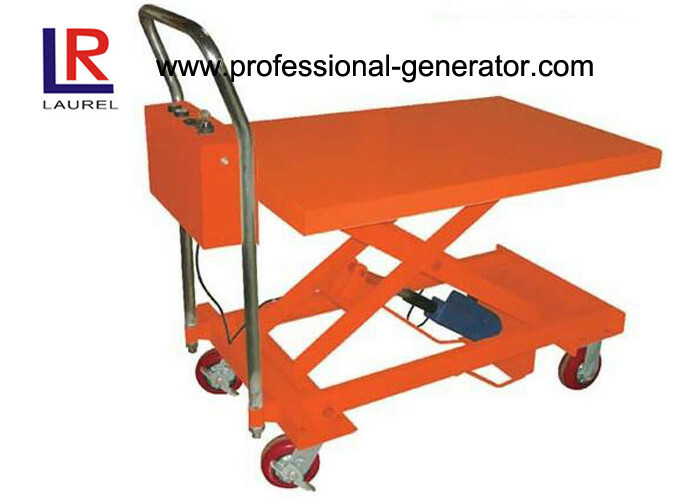 2.Working Table is Platform or rollers. 3.According to the requirements can be at any specified height. 4.With double-cylinder , double-dorectopm control, lifting height of up and down more smoothly. 5.It's flexibility and low noise, suitable for light or heavy goods transfer. 6.Optional device : automatic control device for feeding and outputing. 7.All ready-to-ship machines inspected by overseas dept. staff independently with detail photo and video to customers. We are trying all the best to insure your worry-free on both purchasing and running of all our machines. Guangzhou Laurel & Honesty Holdings mainly dealing in researching, developing and producing the lifting machinery, port machinery, reducer, etc, and also Guangzhou Laurel & Honesty Holdings has become one of the most competitive enterprise group with the largest production and sales volume and the most influential brand in China crane industry. It is also one of the first batches of National Technology Innovation Demonstration Enterprise. Up to now, our pruducts have been exported to more than 69 countries like America, Japan, Russia, Korea, etc.